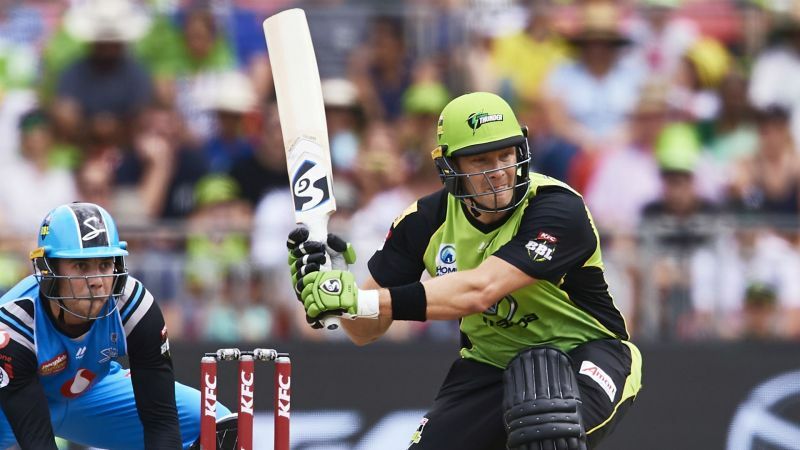 Former Australia star Shane Watson led the way as the Sydney Thunder claimed a much-needed win over the Adelaide Strikers in the Big Bash League. Watson smashed 68 off just 40 balls in the Thunder’s 71-run victory against the Strikers at Spotless Stadium in Sydney on Sunday. The Watson-inspired Thunder reached 168-6 from their 20 overs before the Strikers were skittled for 97. With the win, the Thunder joined the Strikers on eight points in the BBL, two adrift of leaders the Hobart Hurricanes. The 37-year-old batsman showed he is still capable of game-winning performances. Watson – who scored four Test hundreds and nine centuries in one-day internationals – was a handful for the Strikers, hitting fix sixes and four fours. It was a captain’s knock as former Test opener Watson posted his first half-century of this year’s tournament. The Thunder endured a dry spell during their innings, losing three wickets for seven runs, while they went eight overs without a boundary. However, the Thunder recovered and smashed 20 runs off the final over – something the Strikers could not do. The Strikers were reeling at 26-3 after Thunder newcomer snared Travis Head (10) with just his second ball. Colin Ingram’s 48 off 30 deliveries was not enough for the Thunder, who only had two other players in double figures before they were bowled in the 18th over after losing their last six wickets for 22. While Watson impressed with the bat, Thunder team-mate Arjun Nair was just as lethal with the ball. Nair finished with 3-12 from three overs, having dismissed Ingram, Michael Neser (0) and Ben Laughlin (0). It was just the 20-year-old’s second BBL appearance following his 90-day suspension for a suspect action last year.